There we were, at our annual family reunion in South Carolina, and Aunt Renie said something like, “and remember those pokeweed salads?” That has stuck with me for a few years—especially since pokeweed grows like, well, a weed around here. I finally decided to do some research on this beautifully-berried plant since there is no better time than the present given all the bunches hanging out back. 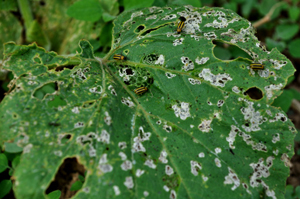 First and foremost: pokeweed is a toxic plant. Let me repeat this. It is poisonous for humans, pets, and livestock! 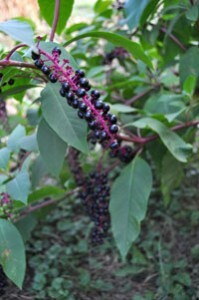 Yet, in days of yore, poke “sallits” were a staple of southern cuisine in the U.S.
Young pokeweed leaves (collected before acquiring a red color) are boiled three times to reduce the toxin, discarding the water after each boiling. The result: poke salit or poke salad. Be warned. It should never be eaten uncooked. 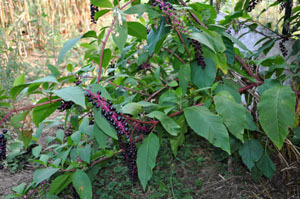 Many authorities advise against eating pokeweed even after boiling three times since traces of the toxin could still remain. Even today, doctors in the south launch frequent awareness campaigns to warn that pokeweed may remain toxic even after being boiled. 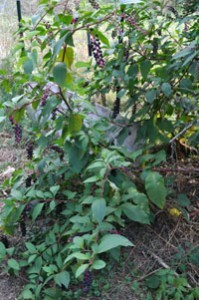 Apparently, pokeweed is a jack of all trades as far as plants go. It has been the star of folk song lyrics, used topically or internally as remedies and poultices by Native Americans, and enjoyed as an ornamental plant. The berries have functioned as writing ink, a paint to color aboriginal horses, and natural fabric dye. It doesn’t look like pokeweed’s dance card is filled, though, by any means. A member of the Phytolacca family of plants, scientists have been able to isolate a protein from pokeweed that is being used to try to inhibit the replication of the HIV virus in human cells. When I began canning, years ago, I was amazed to find preserving fruits and veggies wasn’t just “pickles and jellies.” In the years since then, I’ve collected and used many recipes stretching from marmalades to desserts! The conserve is so versatile, one can use it as a spread on your toast in the morning or a topping on your cheesecake after dinner (or, like I prefer, with a little chevre). 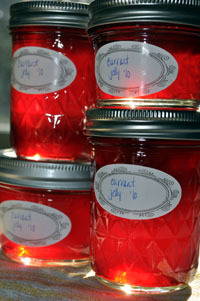 There are usually a few different flavors “going on” in the jar, regardless of the fruit you’ve used for the conserve. 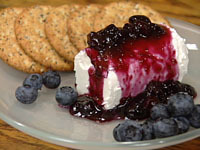 The deep blue of the blueberry doesn’t allow us to see the lemon and orange rings that are part of the recipe – which is a shame because that makes for a lovely presentation. I’ll get over that though….I have to; there’s only one jar left! We had an abundance of currants this year–so many that I was able to make both Bar-Le-Duc (currant preserves) and currant jelly. 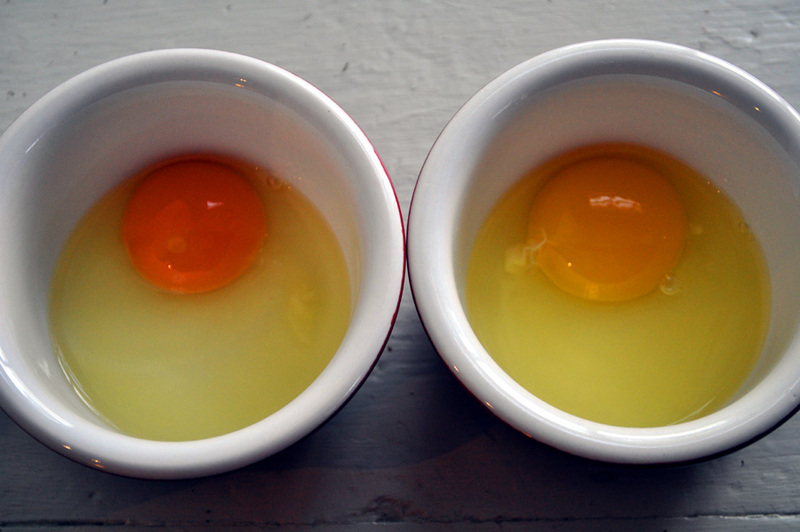 To make a jelly, one must extract the juice and then the juice is combined with other ingredients. No small feat with currants, which are not the juiciest of fruits! I find the Bar-Le-Duc and the currant jelly very satisfying. Maybe my palate needs an upgrade? I think not. I’ll continue to enjoy them both. Equally.